Nutrex T-UP is raising the bar in natural testosterone elevation by bringing scientifically researched testosterone booster. 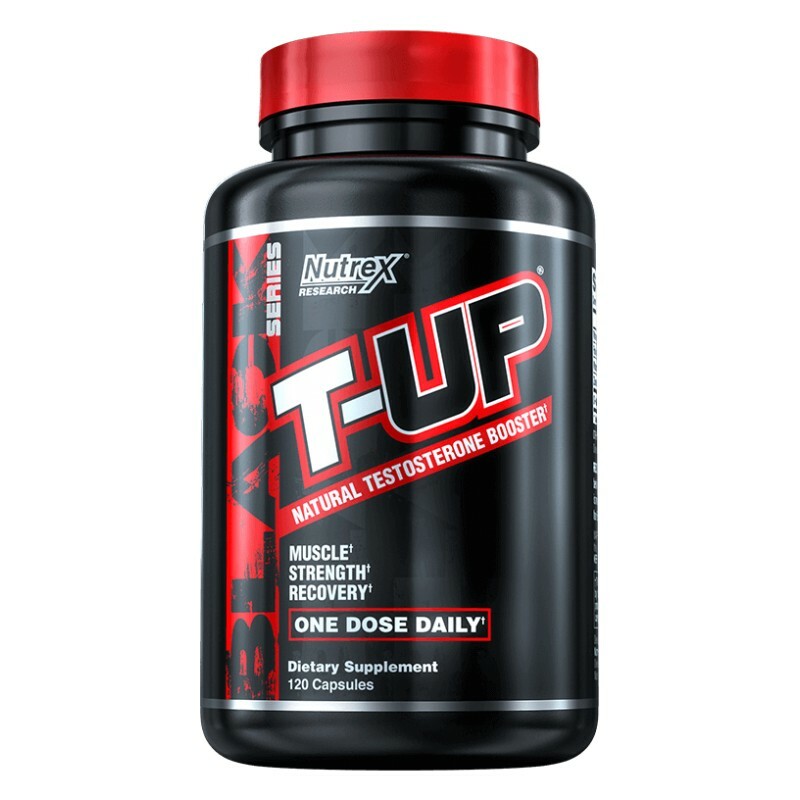 T-UP® Testosterone Booster is raising the bar in natural testosterone elevation by bringing you scientifically researched D-Aspartic Acid in a clinical amount. Unlike many products that claim to increase natural testosterone, our effects are real and supported by a clinical study. In this clinical study, the D-Aspartic Acid used in T-Up led to an average 42% increase in testosterone after only 12 days of use. * CLICK HERE TO READ STUDY An elevation in testosterone levels is associated with more muscle gains, strength increases and enhanced recovery. Just one serving a day is needed! * Topo et al., 2009, Reprod. Biol. Endocrinol. 200, 7:120. Study lasted 12 days and showed an average increase of 42% in total testosterone levels. The effects of D-Aspartic Acid on free testosterone were not investigated. Although only free testosterone provides the muscle enhancement and other benefits associated with testosterone, many experts agree that an increase in total testosterone is accompanied by a similar increase in free testosterone. Take 4 capsules once per day between meals. Only one serving per day is needed. We suggest taking this product for 60 days. Use daily for best results. FD&C Red #40 (Allura Red) and FD&C Yellow 6 (Orange Yellow S, Sunset Yellow FCF) may have an adverse effect on activity and attention in children.